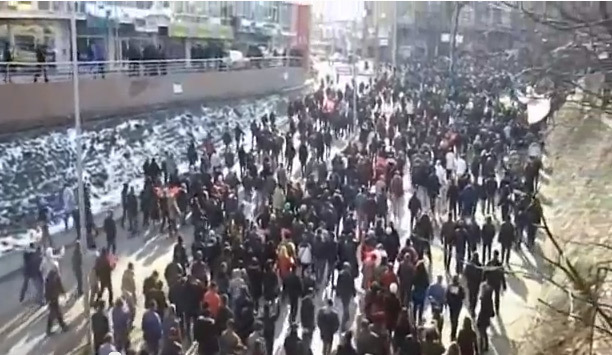 Massive gathering near FYROM Ministry Of Interior against dictatorship of PM Nikola Gruevski and VMRO-DPMNE party through establishment of a party-police dictatorship after 24th of December 2012. This entry was posted on January 28, 2013 at 7:19 pm and is filed under FYROM News, Videos. You can subscribe via RSS 2.0 feed to this post's comments.